Pursuit of quality - Trimmed with the finest finishes! Arguably one of the best positions in the development, this two-bedroom apartment is found in the bold, architectural designed Vance development. 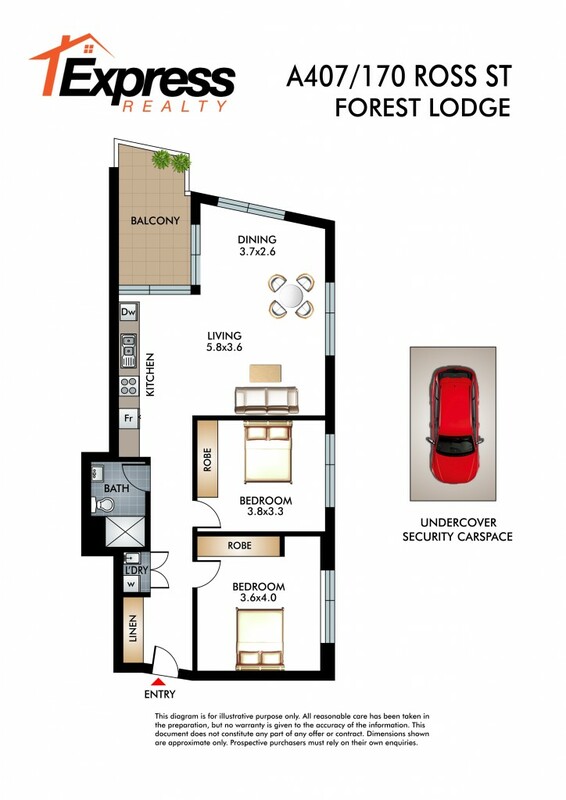 - Two generous sized bedrooms with built-ins. Harold Park is a truly enviable location where parkland big city ambience are never far away. Set on the southern edge of the parklands, Vance is conveniently located close to the Sydney Harbour foreshore. Next door you'll find the revitalised Tramsheds and light rail network. The Inner West is home to the University of Sydney and the University of Technology, two of Australia's most reputable universities. Local children facilities and schools include Saint Scholastica's College, Forest Lodge Public School, Saint James School and Glebe Point School. Where the foreshore meets the harbour. Your new backyard will be part of sweeping 20-hectare natural network linking Jubilee, Federal and Bicentennial Parks to the Sydney Harbour Foreshore. Wander along the foreshore walk that skirts picturesque Rozelle and Blacwattle Bay filled with sports fields and playgrounds. Walking distance to Rozelle Tramsheds are being adapted to create a distinctive retail and leisure destination whilst retaining the iconic character and industrial proportions of the existing building. Beneath the majestic saw-tooth roof you'll find a foodie's paradise inspired by the glorious food halls of Europe. A great place to catch up in those upcoming wine bars, cafes, restaurants, bakeries, delicatessens and more in a unique heritage setting.